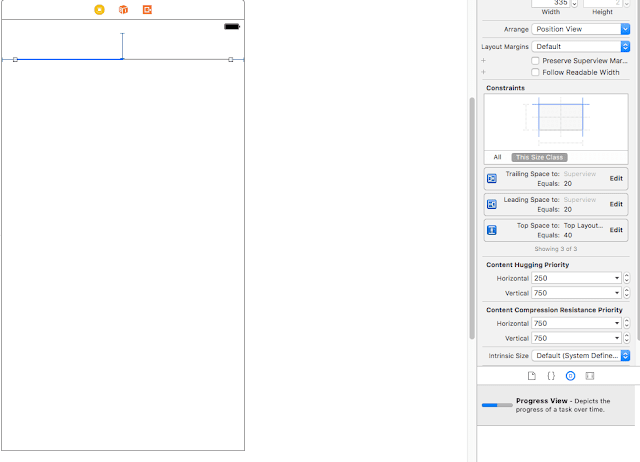 UIProgressView is the control used in iOS apps to show the progress of a particular task of the app. 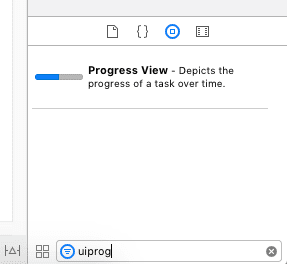 UIProgressView allows developers to let the users know how much amount of the task is done and how much is still pending. One can think of an example, like we when we install a particular software on desktop. During installation process we see a progress bar that tells how much the software installation is pending. In the same when we have to show progress of a particular task in iOS app we can use or we will use UIProgressView to full-fill our need. 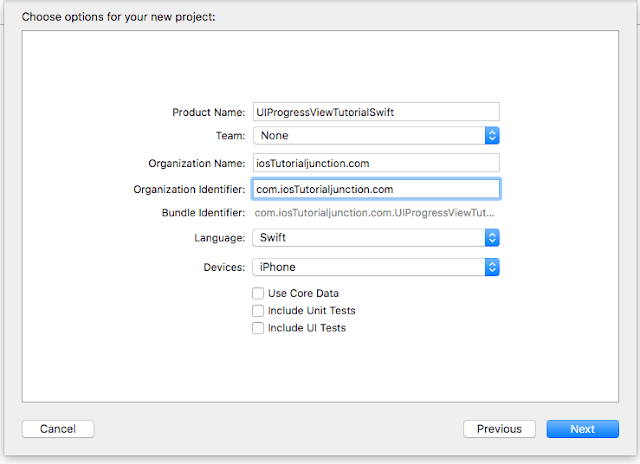 In this tutorial, you will learn how to create UIProgressView in swift. trackImage = An image to use for the portion of the track that is not filled. progressImage = An image to use for the portion of the progress bar that is filled. Step2: Open "Main.storyboard", drag "UIProgressView" control from object library to ViewController's view. 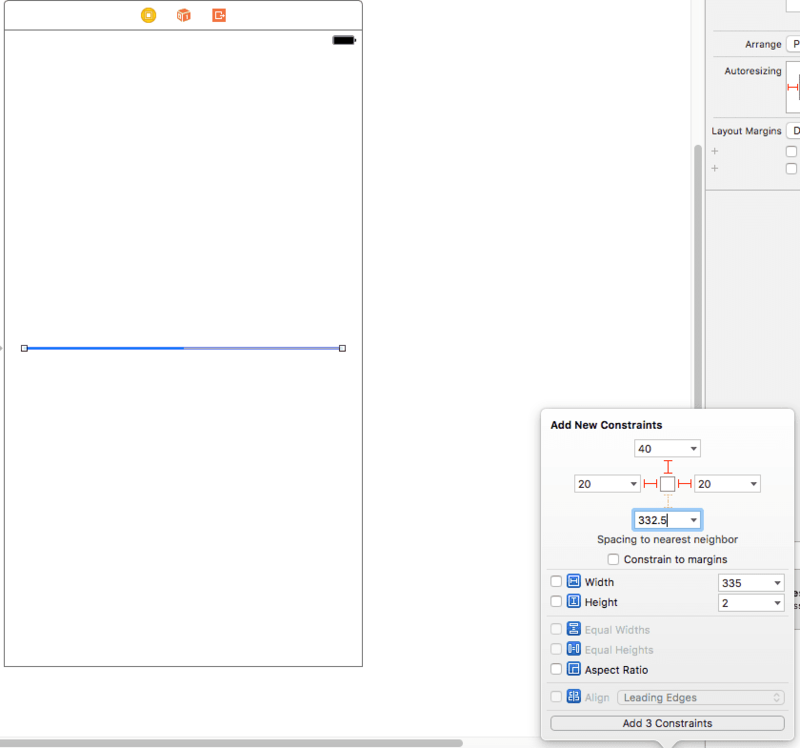 Step3: Add constraints to the UIProgressView as shown in below picture. 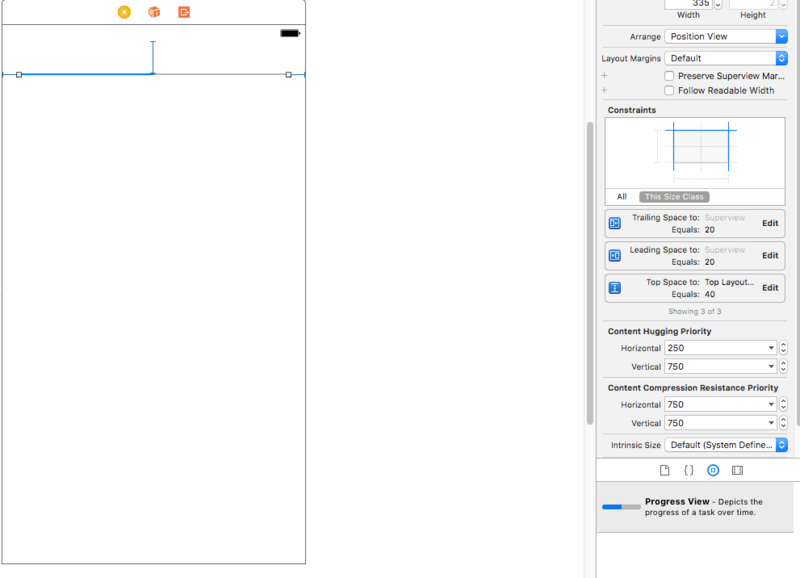 Step6: Run the app and you will see the UIProgressView will gets updated and blue bar fills up grey one. In this tutorial, we learn how to create and use UIProgressView in swift. We only covered basic functionality of UIProgressView. Hope you enjoyed the tutorial. Stay tuned for more tutorial on swift.